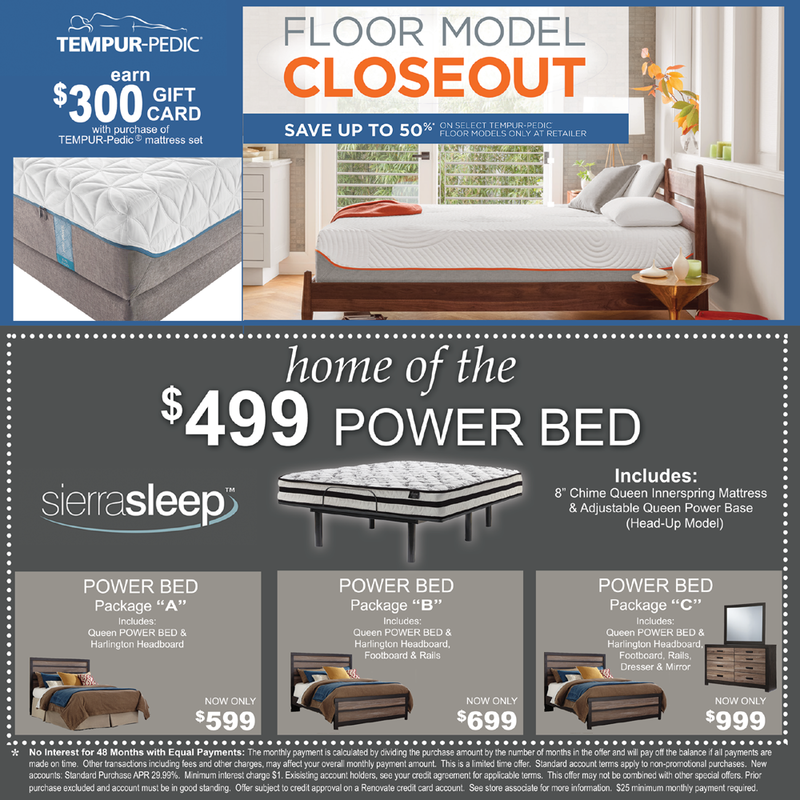 Don't miss this savings opportunity! 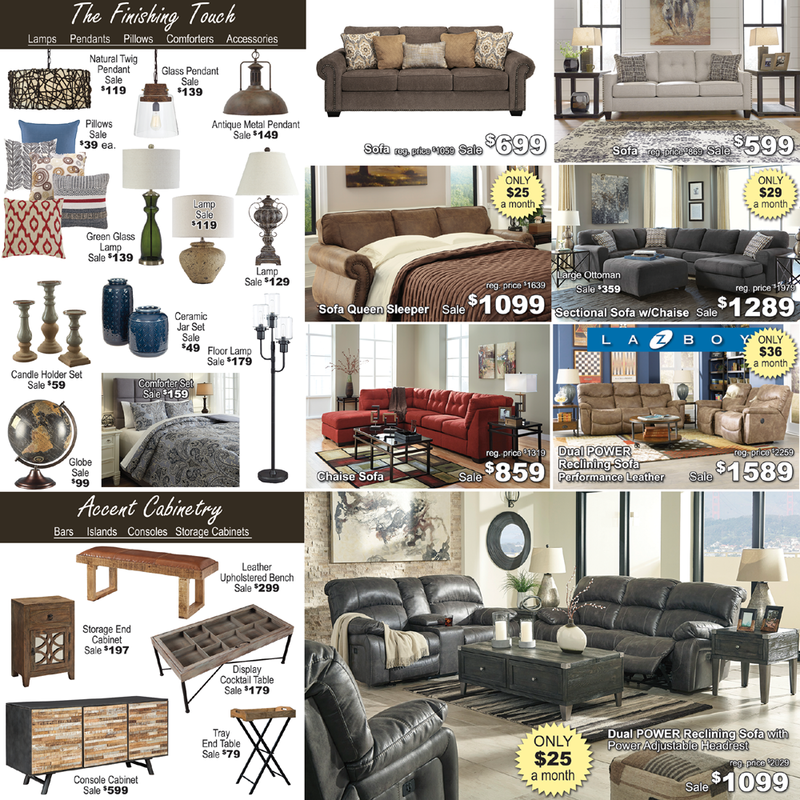 Sale is going on NOW through Monday, April 29th. Closed on Easter Sunday. 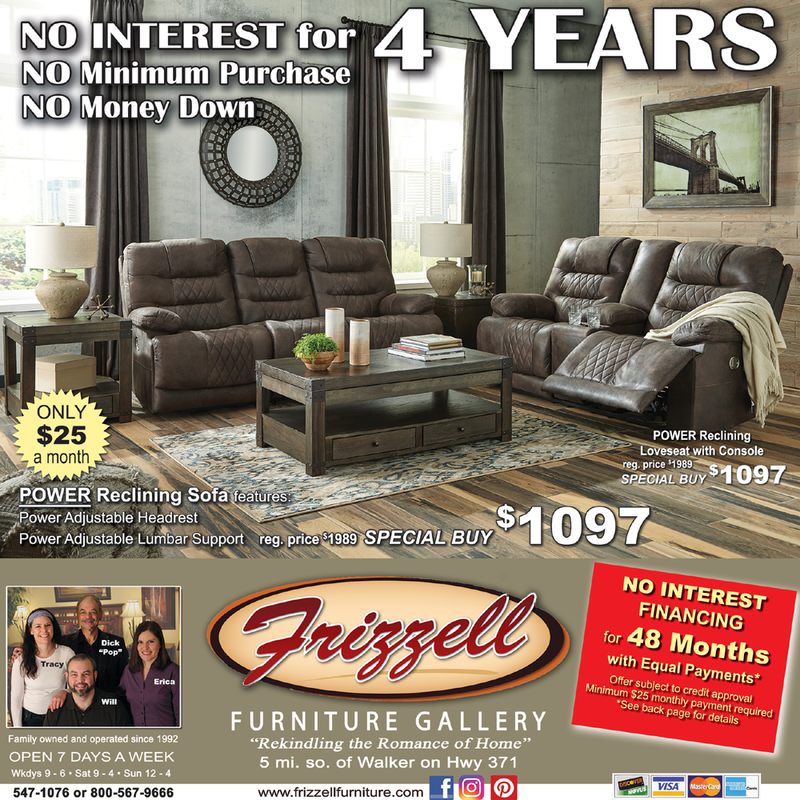 Save on Wall Entertainment Units, Sectionals, Recliners, Accent Chairs, La-Z-Boy Power Reclining Sofas, TV Stands, Wall Clocks, Reclining Sofas, Stationary Sofas, Chaise Sofas, Sofa Sleepers, Rocker Recliners, Amish Dining Sets, Stools, 5-6-7 Pc. 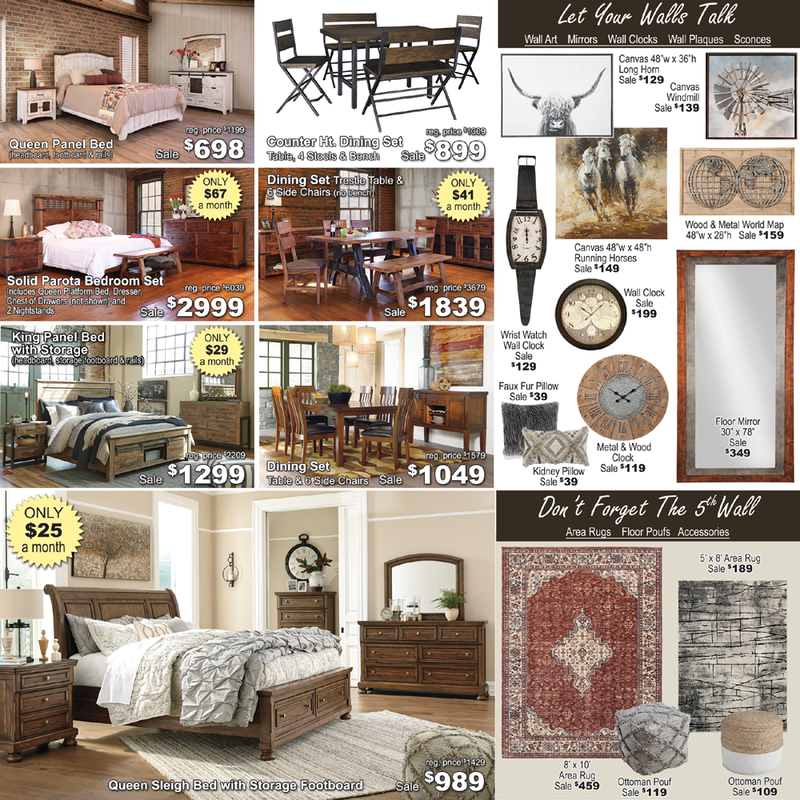 Dining Sets, Kitchen Islands, Wine Cabinets, Bedroom Sets, Accent Cabinets, Accent Pillows, Wall Art, Accessories, Lamps, Rugs, SierraSleep Power Beds, Tempur-Pedic closeout mattresses and more! *Restrictions apply. See store for details.